Breaking Bad Movie Is Happening, and It Shoots This Month? Is a Breaking Bad Movie coming down the pipeline? While this hasn’t been confirmed by AMC, creator Vince Gilligan or any of the cast members, a new report states that’s exactly what’s happening, and very soon. While this shouldn’t be regarded as confirmation for the time being, this would be excellent news for fans of the series and, based on what little has surfaced online so far, it sounds like this could be a great continuation of where the story left off in the Breaking Bad series finale. According to a new report from a local Albuquerque publication, a movie titled Greenbrier is set to begin filming later this month in the city, which was backed up by the New Mexico Film Office. According to the report, it is, in fact, a Breaking Bad movie. However, the organization would neither confirmed nor deny that this is indeed related to the still-popular hit series. But they did confirm that Sony Pictures is involved and both Breaking Bad and Better Call Saul are produced under Sony Pictures Television. Not to mention that Vince Gilligan just signed a three-year overall deal with Sony not long ago. Here’s what we know for sure. A movie going under the title Greenbrier is filming later this month, with production expected to last through February. The movie is said to follow “the escape of a kidnapped man and his quest for freedom.” Doesn’t that sound an awful lot like it could be the continuing adventures of Jesse Pinkman following his escape at the end of the series? Plus, Aaron Paul has repeatedly stated that he would be happy to revisit the character. It’s also worth mentioning that both Breaking Bad and the spin-off Better Call Saul have used different names during production, so Greenbrier could be a red herring of sorts. We’ve heard rumors of a possible movie taking place as a continuation of the show in the past, but it would be pretty incredible if this turns out to be true. Not only because it would be purely thrilling to continue on with Breaking Bad in some way, but because AMC and Vince Gilligan have managed to keep the secret this long. And this would certainly be a lot more meaningful than having Jesse or Walt appear via a small cameo in Better Call Saul. Breaking Bad concluded five years ago and saw Bryan Cranston’s Walter White finally meet his demise. So, if this turns out to be true, it’s highly unlikely it would involve Walt in any significant way. Though, he could be brought back via flashbacks. The most likely option would be to follow-up with Jesse and see what happened to him in his post blue meth making days. For what it may be worth, Aaron Paul’s schedule seems to be clear enough for him to squeeze this in. Again, until AMC or Vince Gilligan steps up and confirms this, it’s not absolute. Though, given that the network recently announced that The Walking Dead is getting a trilogy of movies starring Andrew Lincoln as Rick Grimes, a Breaking Bad movie doesn’t seem at all out of the question. For the time being, all anyone can do is hope this is true. This news was previously reported by The Albuquerque Journal. 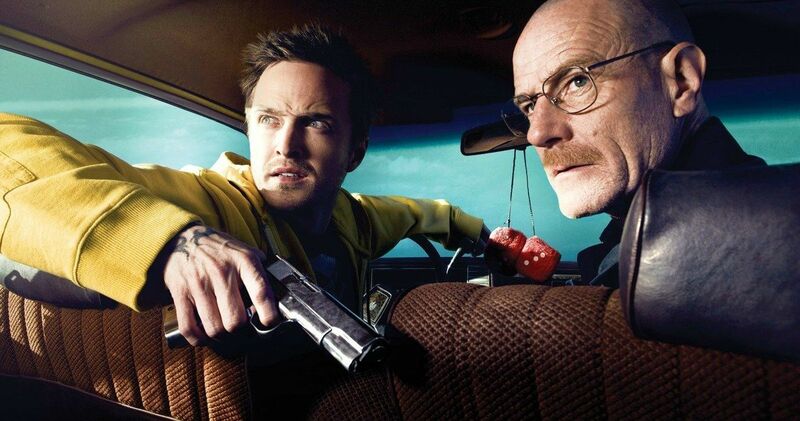 Breaking Bad Movie in Pre-Production From Vince Gilligan!